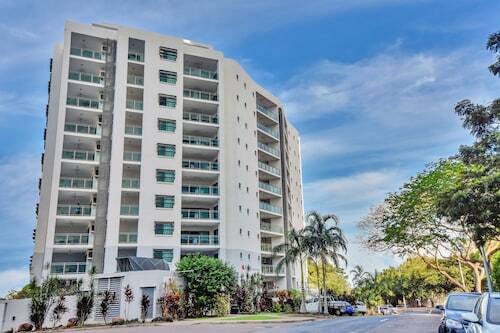 Located in Darwin City Centre, this luxury apartment building is within a 10-minute walk of Smith Street Mall and Darwin Waterfront. Cullen Bay Marina is 1.9 mi (3.1 km) away. 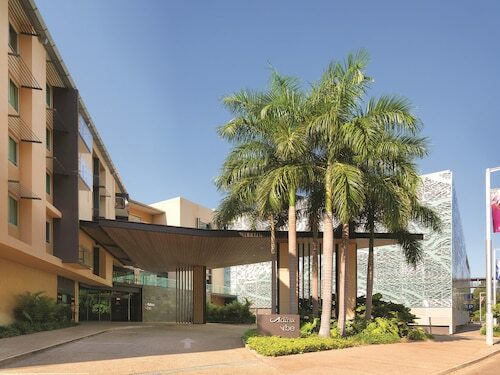 This family-friendly Darwin hotel is located in the entertainment district, within 1 mi (2 km) of St Mary Star of the Sea Catholic Cathedral and Darwin Waterfront. Cullen Bay Marina is 1.5 mi (2.5 km) away. 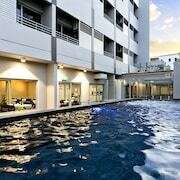 This family-friendly Darwin hotel is located by the sea, just steps from The Esplanade and The USS Peary Memorial. Darwin Waterfront and Cullen Bay Marina are also within 2 mi (3 km). 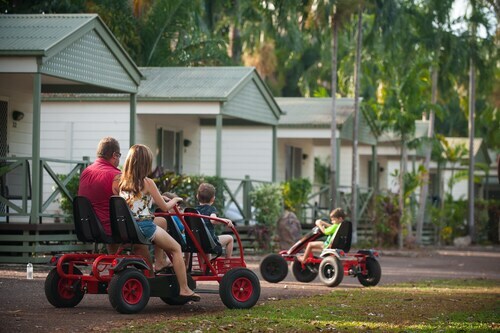 Situated in Howard Springs, this campground is 1.6 mi (2.7 km) from Howard Springs Nature Park and within 12 mi (20 km) of Darwin Crocodile Farm and Flight Path Golf & Outdoor Recreation. Crocodylus Park and Hidden Valley Raceway are also within 12 mi (20 km). 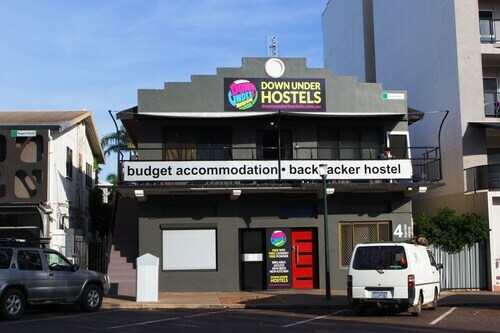 Located in Darwin City Centre, this hostel is within 1 mi (2 km) of Crocosaurus Cove and Darwin Waterfront. Cullen Bay Marina is 1.6 mi (2.6 km) away. 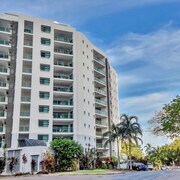 Located in Darwin City Centre, this hostel is within 1 mi (2 km) of The Esplanade, Darwin Waterfront, and Cullen Bay Marina. St Mary Star of the Sea Catholic Cathedral and Darwin Entertainment Centre are also within 10 minutes. When it comes to a partner, you’ve probably got a list of compatible qualities and characteristics that make you say, “Ooh, la la.” This phrase isn’t reserved for ideal partners though; romantic hotels in Darwin should also sweep you off your feet. Take your pick of red-hot amenities, from dance-ready floor plans, to breakfast in bed and hot tubs. Celebrating an anniversary or just taking time to focus on having fun together? 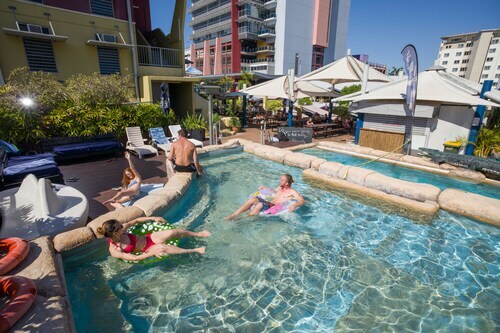 Whether you’re an unconventional couple or looking for the quintessential, fairy-tale holiday, Wotif has deals on romantic accommodation in Darwin so you can save on getaways that are as special as your sweetheart. Our inventory includes hotels in secluded locations where you can easily hide away with gorgeous views, as well as busy neighbourhoods with the makings of a perfect night out on the town. Book a luxury resort and pack your best cocktail attire for fine hotel dining. Or fill your hiking rucksacks with chocolates and champagne to add a little adventure and natural wonder to your getaway. Find a tiny, boutique-style inn with vintage flair or enjoy modern-chic accommodation. 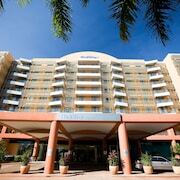 Whatever your definition of love may be, you’ll book the best romantic hotels in Darwin with Wotif. That’s even better than a sale on red roses…but don’t forget to pick up a dozen on your way out of town.